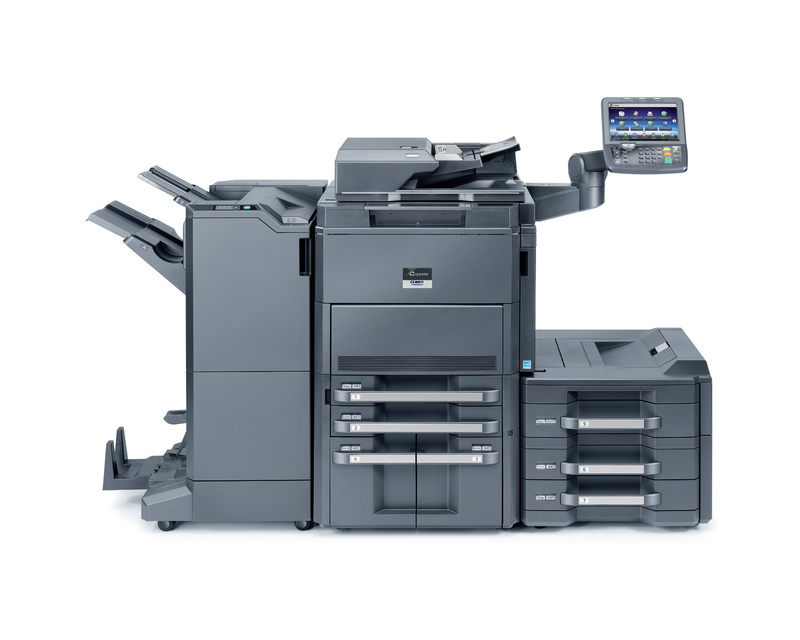 Kyocera’s Copystar technology sets a new standard for digital imaging and document solutions. Set a new standard in your office with the CS 8001i. The top-of-the-line multifunctional model is designed to inspire. 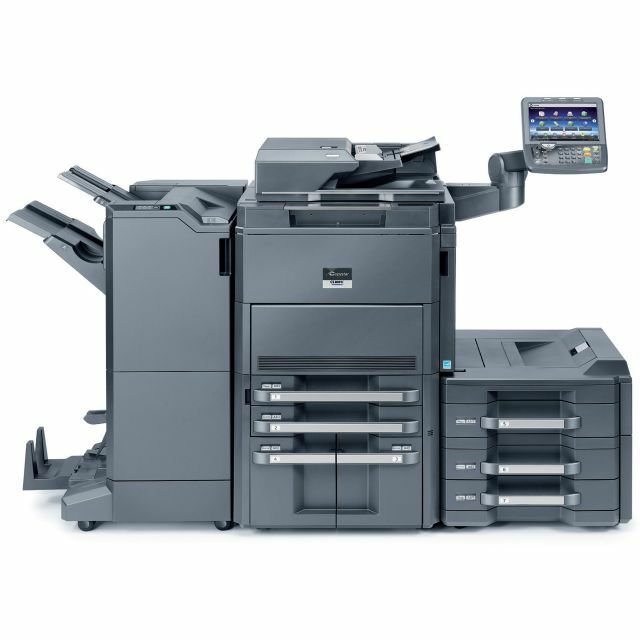 By combining the latest in printing, scanning, copying, and fax technology with comprehensive management features, seamless network integration, and environmentally conscious conservation measures, the CS 8001i encourages top performance while cutting cost and consumption. Plus, with extensive optional features to choose from, build a machine as unique as your business. Redefine the “daily grind” by adding the Copystar 8001i to your office’s routine. Print, scan, copy, and fax all from one ultra-powerful system. Professional output is produced with efficiency at speeds up to 80 pages per minute. Scan up to 180 black-and-white or 100 color items per minute. Standard 270-Sheet Dual Scan Document Processor simplifies complex scanning jobs. Standard PDF features offer effortless document searchability. Upgrade the standard 4,150 page paper tray to a maximum capacity of 7,650 sheets, with tray extensions available to accommodate various paper sizes. Mobile applications allow on-the-go access to important projects. Cloud compatibility throttles printing technology into the future. Eliminate mistakes and extra steps with internal and external finisher options. Scan-to-Folder/Email/USB/FTP functions make document sharing and distribution quick and convenient.